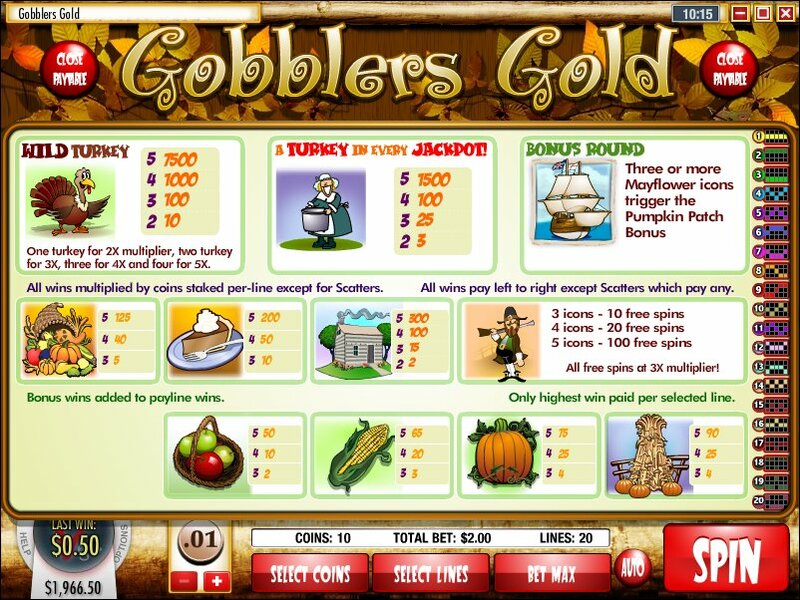 Overview: October 2008: A brand new 20-Line, 10 coin video slot: Gobblers Gold! This brand new slot comes with all the fixins you expect from Rival, including Free Spins (up to 100!! ), multipliers, and a Wild Turkey bonus round. 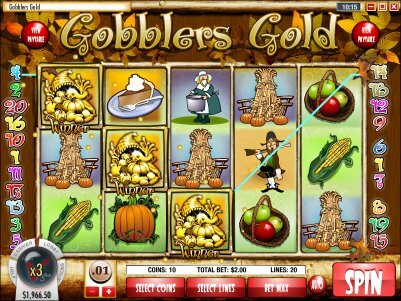 Similar Slots: If you like Gobblers Gold, you might like these other Rival video slot machines: Cleopatra's Coins, Diamonds Downunder, Gushers Gold, Lion's Roar, Spartan Warrior, Watch the Birdie.